Employment Trends. 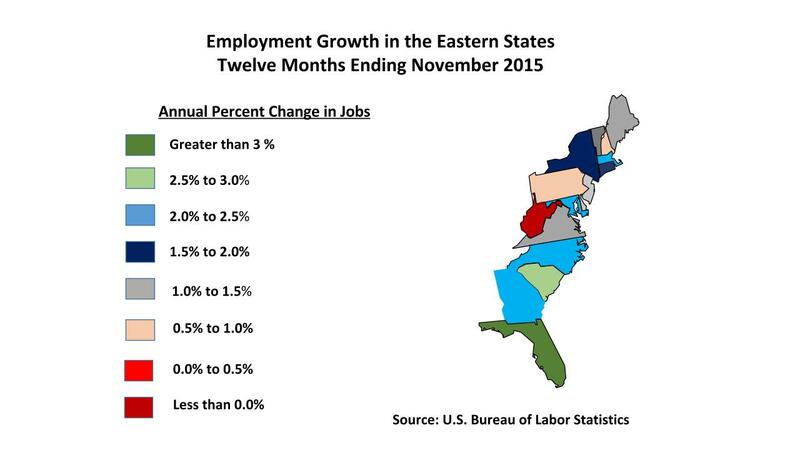 Job trends along the Eastern Seaboard were mixed in 2015. The Southeastern states, led by Florida, posted the strongest growth figures. Florida’s growth rate was above 3%, but five other states (North and South Carolina, Georgia, Massachusetts, and Maryland) had employment expansion above the U.S. net increase of 1.9% year-over-year. New York State matched that percentage increase, with an absolute addition of 177,000 jobs, second only to Florida’s 239,000 and roughly twice the total job change in North Caroline and Georgia. Only West Virginia, with its dependence on coal mining, found its employment base eroding in 2015, but Pennsylvania had a meager 0.6% growth rate as its fracking industry suffering in the energy price contraction. Reports in the January 2016 issue of the Fed’s “Beige Book” had generally positive reports on hiring expectations in the Boston, New York, Philadelphia, and Atlanta districts – in other words, along most of the Atlantic Coast. New York, however, was the only Fed District in the East reporting upward pressure on wages. Macro-economic factors. “Be careful what you wish for.” Nation’s typically like their currencies to be strong, and the U.S. dollar is. But that has caused exporters in the Northeast to see themselves as less competitive in international markets. And, for the nation’s largest attraction for global tourism, New York City, it has meant a slowdown in hotel visitation and restaurant business. And who complains about nice, warm weather in the final months of the year? As it turns out, retailers who saw winter apparel sales sluggish both before and after Black Friday 2015. Despite such complaints, though, most of the region had a reasonably upbeat economy as 2015 ended. Business and professional services, in particular, have been exceeding revenue projections, leading to some spot shortages of skilled labor. Import activity has been particularly strong, buoying vehicle sales and cargo through the East Coast’s major ports. Banks see credit demand rising, and are beginning to feel more comfortable easing terms for borrowers. 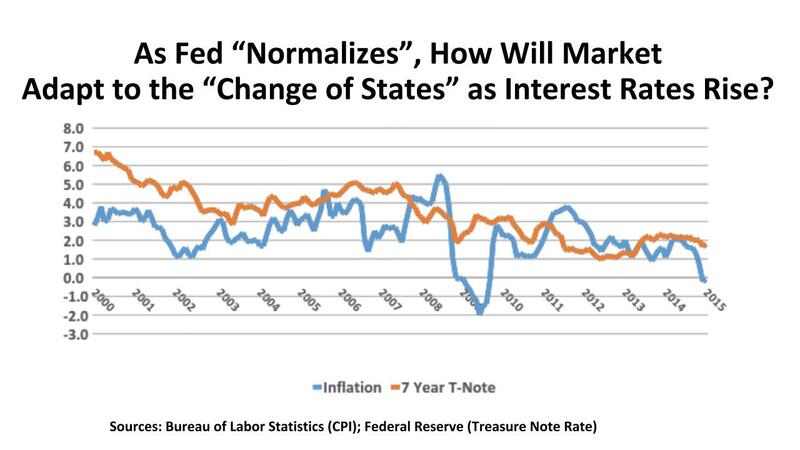 Interest rates on business loans can be expected to increase in 2016, though, as the Fed gradually tightens monetary policy. Loan delinquencies have been trending downward, taking some of the pressure off the banks. But spreads are very tight for lenders. A still sluggish housing recovery means that the normally significant multiplier effect of new and existing home sales has yet to provide a boost to the East Coast economies from this vital sector. Office. Real Capital Analytics has reported 2015 sales of U.S. office buildings tallying $145.8 billion. Of this total, 49.2% ($71.7 billion) was generated by the markets in the Eastern U.S. Manhattan, of course, led all markets with $26.9 billion in deals. 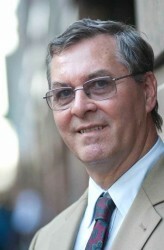 Boston registered $8.2 billion in office sales transactions, Atlanta showed $5.1 billion on its books. Washington DC generated $4.5 billion in office investment in the District itself, supplemented by an approximately equal amount in its Virginia and Maryland suburbs. International investors played a major role in 2015. Manhattan, Washington DC, and Boston were the top three cities for cross-border inbound capital in the office sector. Atlanta ranked sixth, Northern Virginia tenth, and Miami eleventh as investment locales for office-oriented off-shore investors. Emerging Trends in Real Estate surveys nearly 1,500 real estate professionals in its annual review/outlook for U.S. markets. One survey question asks respondents to rate markets as “buy, hold, or sell.” Six Eastern office markets are in the Emerging Trends Top 20 “buy” recommendations. Perhaps surprisingly, Brooklyn NY leads the pack. But (in descending order) the respondents also named Atlanta, Boston, Charlotte, Raleigh/Durham, and Manhattan as “buys” for 2016. Industrial. Nationally, investment in industrial properties was by far the highest in the historical record maintained by Real Capital Analytics, up 54% over 2014 to $76.6 billion. Nearly 7,400 warehouse/distribution and flex properties were traded. Of this total, the Atlantic Seaboard markets accounted for one-third of the dollar volume and 32.5% of the number of properties. The concentration of population up and down the I-95 corridor and the many deep water ports from Miami to Boston make this a natural region for goods movement. Northern New Jersey is one of the nation’s largest concentrations of warehousing, and it ranks as number three in Emerging Trends’ survey as a “buy” for industrial assets. 2015 was excellent for this market, with $2.6 billion in transactions (more than double 2014 volume) in the warehouse sector. Atlanta had a robust $2.2 billion in warehouse purchases, with 232 deals at an average 6.5% cap rate and is rated in the top 20 “buys” by Emerging Trends. New York City’s “outer boroughs” saw warehouse sales of just under $2 billion, at a startling 3.9% cap rate; but these were often for conversion of use in this exceptionally hot market. Charlotte, Baltimore, and Northern Virginia also made the “top 20 buy” list for 2016. Retail. Of all the commercial/multifamily property types, regional malls and power centers rank lowest in investment development outlook for 2016. Community and neighborhood centers do a bit better, but still are far from top rank. A related property type – the fulfillment center – is more enthusiastically viewed: this speaks volumes about the changing “omni-channel” world of retailing. Investors, in 2015, did not only express those opinions; they acted on them. Or did not act on them, as the retail investment sector saw aggregate transaction volume of $88 billion, up a meager one percent from 2014.The second half of 2015 was particularly slow. There were certainly some surprises in the patterns of the purchases, too. Retail property investment volume was up 13% to $23.4 billion, in the Northeast and Mid-Atlantic states, according to Real Capital Analytics. 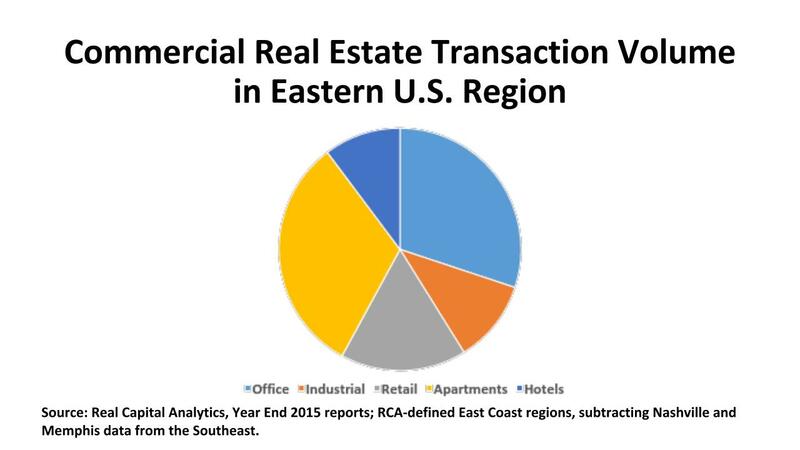 In the Southeast, though, transaction volume was down an identical 13%, to $16.1 billion. Miami and Atlanta were regional bright spots, though, especially as magnets for international capital. Interestingly, the Emerging Trends “buy/sell/hold” ranks see considerable opportunity in the East for 2016. Brooklyn ranks first in the nation as a recommended “buy.” Miami is second. Others in the Top 20 are Boston (6th), Northern Virginia (12th) , Atlanta (13th), Washington DC (15th), Manhattan (16th), Charlotte (17th), and Northern New Jersey (19th). With many segments of the retail property markets having cap rates in the 6.5% - 7.0% range, this may be a 2016 opportunity for yield-seeking buyers, especially if job gains continue and wages begin to rise.